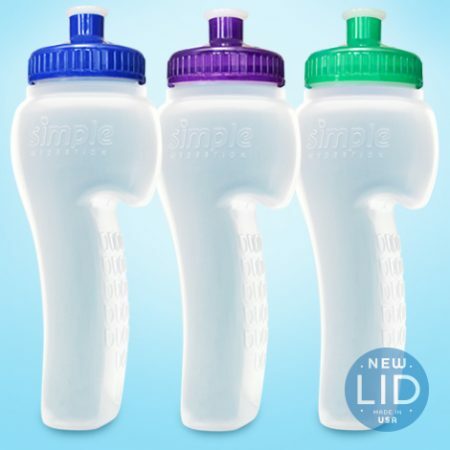 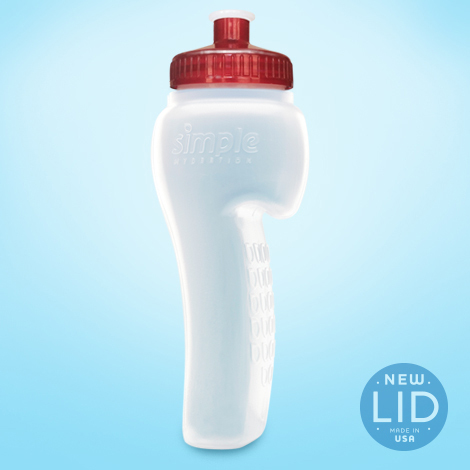 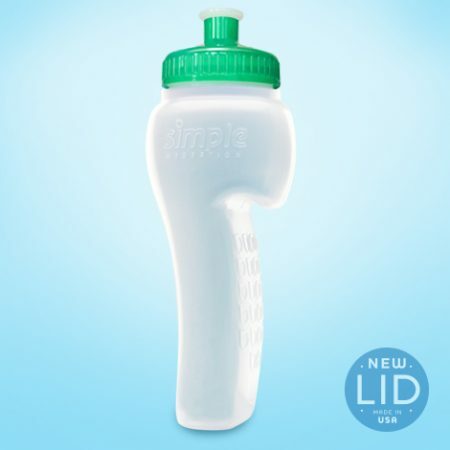 Buy 2 of our innovative hook-shaped bottles featuring our new translucent smoke lids. 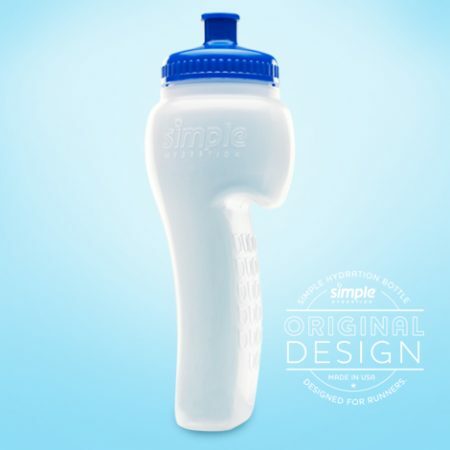 They allow runners or active individuals to simply hydrate on the go. 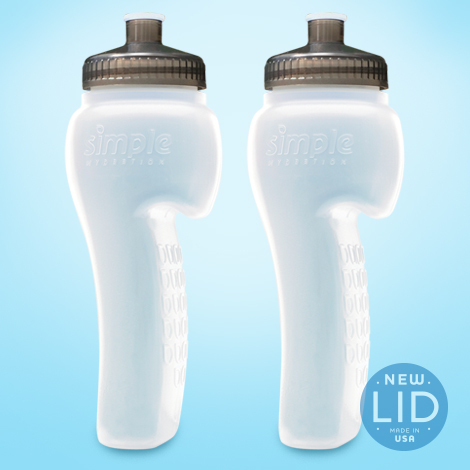 The bottle slides into a waistband, race belt, pocket or in the top back of a sports bra for women.